The Epson PowerLite Pro Cinema 4030 is a brand new projector in Epson's home theater line-up that does not replace or upgrade any existing projectors. Instead, it is in many ways a spiritual successor to 2010's Pro Cinema 9350. The Pro Cinema 4030 is a low-cost projector in a Pro-level package for those who want the professional installation experience but cannot afford the step up to the 6030UB. 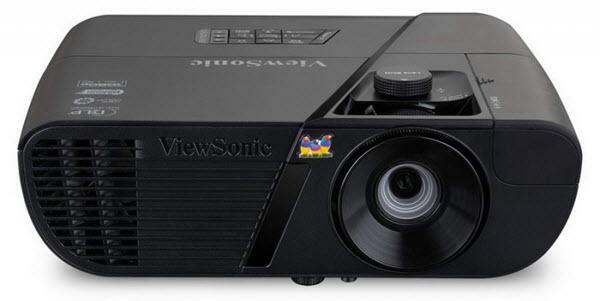 The 4030 is a capable projector for both 2D and 3D home theater. At $2,499, the Pro Cinema 4030 includes both the projector and what we're calling Epson's "Pro package," a collection of extras such as a spare lamp, Chief ceiling mount, three-year warranty, and cable cover that add considerable value to the package. While the 4030 faces stiff competition from projectors both near and below its asking price, it is a solid choice for entry-level home theater. Like the Pro Cinema 6030UB, the Pro Cinema 4030 is a matte black projector with a centrally-mounted 2.1:1 zoom lens. In a blacked-out theater room, the 4030 practically disappears. Such a room is where the 4030 will look its best; its deep black level benefits from any steps you can take to reduce both ambient and reflected light in your viewing space. In such a space, the ideal screen material for the 4030 is white with a mild positive gain. We performed our testing using the Cima Neve 1.1 from Stewart Filmscreen, which fits these criteria and proved to be a very good match for the projector. Watching 2D high definition content, the 4030 produces a polished picture that has plenty of pop. The projector's factory settings are not as impressive as those of the 6030UB, but the 4030 shares the 6030UB's excellent calibration controls and is relatively easy to tune up. After calibration, the Pro Cinema 4030 has crisp highlights that are not clipped and deep shadows that nevertheless do not smudge together. The projector's auto iris is quiet and highly effective, reducing illumination in darker scenes and improving black level when it is most needed. The gamut is very near to the Rec. 709 standard for high-definition content, and white balance is quite close to 6500K across the entire grayscale. 3D on the 4030 shows no signs of crosstalk or instability, and the picture has a strong 3D effect through the included RF 3D glasses. Two dedicated 3D color modes (3D Dynamic and 3D Cinema) allow you to maintain separate calibrations for different types of 3D content. In general, the 4030's 3D modes feature well-saturated color and excellent brightness, making bright, large-screen 3D a possibility. Watching standard-definition content on HD displays can be painful at times due to a lack of resolution and detail. While there's no true fix for this, the 4030 does include Super Resolution. Super Resolution enhances fine image detail and makes SD content appear sharper and cleaner. If you have a large DVD collection that you haven't upgraded to Blu-ray, give Super Resolution a try and see if it helps to perk up some of those old movies. Great review. I honestly think this projector is ideal for installers who want to offer a sub $3K projector for people that includes an excellent mount and extra bulb. As a whole that, along with a solid three year warranty, is IMHO, ideal for people who hire an installer but don't want to spend $5K+. For me, I am sure I would opt for the 5030UB or any brand. Light output seems low for 3D for a larger screen, and you simply get more performance for the money with the 5030B or even the Panny 80000. That said, this projector is not really aimed at me and I do give Epson kudos for having more options for installers. This projector seems like a solid value, but I am amazed at how fast the DLP market has dropped for good 3D projectors that are light cannons as well. The Optoma 131Xe for instance, can be had for $725 right now and their 25-LV can be had for around $1K. 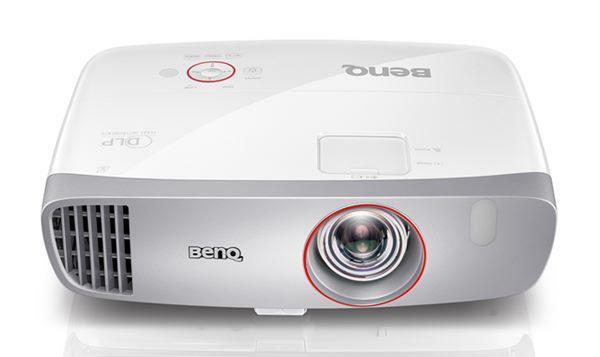 BenQ also has some terrific entry level projectors for under $1K. I wish Epson would offer this performance (4030) for the non-install market for around MSRP $1800 or so. I find the 3020 to be a little disappointing in terms of PQ. Bill does the 4030 have a stretch mode for an anamorphic lens? I would think that would be the only draw to this over the 5030? It would give you the option of a CIH 2.4 setup and the cost difference of the 6030 would let you get a panamorph lens and the 4030 for the cost of the 6030 alone. On another note when can we get a review of the Optoma HD131Xe (or the HD25e since they are basically the same)? maybe a shootout with the BenQ W1070? :) I bet either or both of those would get a lot of traffic! As always, thanks for the great reviews. Epson uses different model names in EU. I can’t find a table that give me the US/EU naming. Could you give info on the corresponding EU model names? I am looking for a projector like football as 2014 World Cup is coming. Wish to watch the MATCH through a footbal projector. Do you have it ? or can you offer other device? Thanks. The 4030 is the EH-TW7200 in Europe. The 6030 is the EH-TW9200 in Europe. Good info. One question: I've got a Panasonic PT-AR100U that's out of warranty and gone bad (my fault, overheated due to dirty filter). If not economically repairable (prob not), I was looking to switch to the 25-LV. Saw the weight difference (19 for the Panny and 6 for the Optoma) - I know there's a difference in technology (LCD vs DLP), but does the low weight indicate a potential loss or increase in reliability, or no impact in your mind? I am also looking for the European names, specifically for the Epson Powerlite 730. Please let me know if you have found this information!